Come meet the artist Sue Corcoran and read more about her amazing career. "I make still life paintings. I like them. 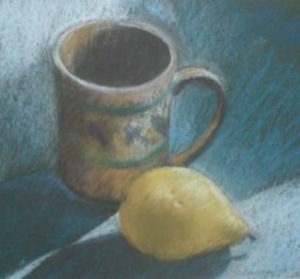 Sometimes I paint landscapes, but I really like still life painting. My first job out of school was with an advertising agency on Madison Avenue back in the days of “Mad Men”. Female Art Directors were few and far between. My entrance exam, so to speak, was this set of Life Saver ads. I submitted four I wrote and designed. Got the job."